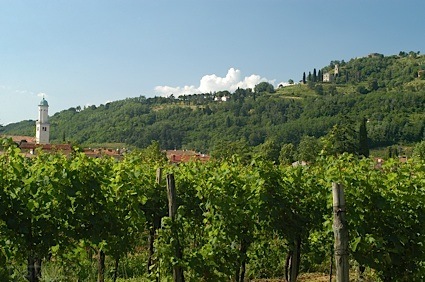 Bottom Line: An exotic, super-bright, dry Gewurztraminer for sophisticated pairings. 95 • One Woman 2014 Dessert Wine, Gewurztraminer, North Fork of Long Island 14.1% (USA) $38.00. 87 • One Woman 2014 Chardonnay, North Fork of Long Island 12.8% (USA) $28.00. 90 • One Woman 2014 Estate Reserve, Chardonnay, North Fork of Long Island 12.9% (USA) $38.00. 86 • One Woman 2012 Estate Reserve, Chardonnay, North Fork of Long Island 12.8% (USA) $40.00. 85 • One Woman 2013 Estate Reserve, Chardonnay, North Fork of Long Island 12.8% (USA) $38.00. 85 • One Woman 2015 Chardonnay, North Fork of Long Island 12.8% (USA) $.00. 81 • One Woman 2015 Tribute White Blend, North Fork of Long Island 12.9% (USA) $25.00. 85 • One Woman 2015 Gewurztraminer, North Fork of Long Island 13.1% (USA) $28.00. 87 • One Woman 2015 Estate Reserve, Sauvignon Blanc, North Fork of Long Island 13% (USA) $32.00. 87 • One Woman 2016 Sauvignon Blanc, North Fork of Long Island 12.9% (USA) $28.00. 90 • One Woman 2016 Gewurztraminer, North Fork of Long Island 13% (USA) $28.00. 90 • One Woman 2016 Estate Reserve, Sauvignon Blanc, North Fork of Long Island 12.9% (USA) $32.00. 83 • One Woman 2016 Gruner Veltliner, North Fork of Long Island 13.1% (USA) $28.00. 86 • One Woman 2015 Pinot Noir, North Fork of Long Island 12.9% (USA) $38.00. 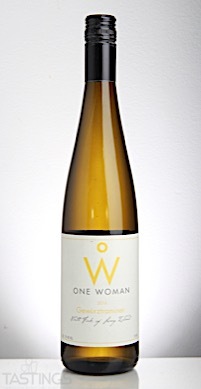 90 • One Woman 2014 Dessert Wine, Gewurztraminer, North Fork of Long Island 14.1% (USA) $48.00. 91 • One Woman 2014 Dessert Wine, Gruner Veltliner, North Fork of Long Island 14.1% (USA) $45.00. One Woman 2016 Gewurztraminer, North Fork of Long Island rating was calculated by tastings.com to be 90 points out of 100 on 12/12/2017. Please note that MSRP may have changed since the date of our review.